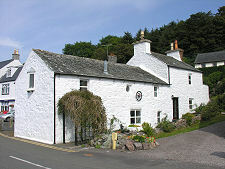 Three miles south of Dalbeattie, a side road turns west and leads you the extra mile along the cul-de-sac road to Kippford. 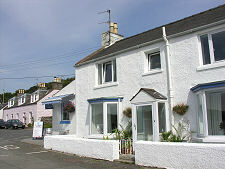 This narrow village runs along the shore of the Urr Estuary and is in places just a single building wide, closely crowded in on the landward side by the wooded slopes of Mark Hill. A village called Scaur developed here from the end of the 1700s to provide harbour facilities at the highest point on the Urr Water easily reachable by large ships. It rapidly became a significant port, with locally-quarried granite being a particularly valuable commodity shipped out from here. By the early 1800s, Scaur was thriving. The employment offered by local quarrying was supplemented by paper milling, and a number of entrepreneurs began to build small sailing vessels on the shore. 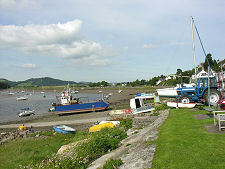 Early shipbuilders and ship repairers were sometimes hampered by the need (resulting from the steep slope of the shore on this side of the estuary) to launch vessels sideways. A proper slipway was built in the later 1800s, which made life much easier, as did improvements to the only access road that meant that it was no longer impassible at high tide. At around the same time the local granite quarrying company built a new loading pier. 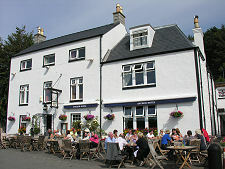 Perhaps the biggest change occurred in 1870, when a post office was established a few doors south of the Anchor Hotel. 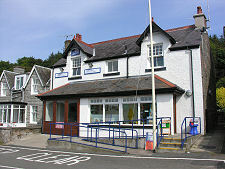 Despite the village's name of Scaur, the post office became known as Kippford (presumably due to the fact that the river could be forded here and the land was owned by the Kipp Estate). 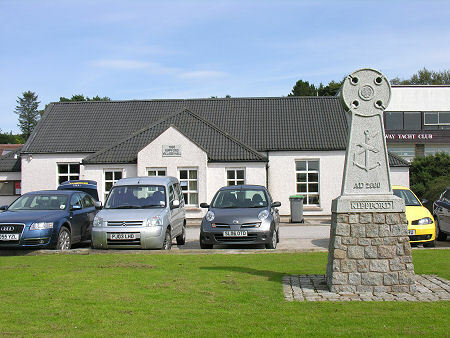 As often happened at the time, the name of the village gradually changed to reflect that of its post office. From about 1900 the local emphasis changed significantly from industry to leisure. 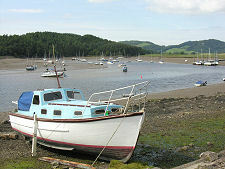 Shipbuilding had already ceased, and in 1900 the Solway Yacht Club was established here. A golf course followed. 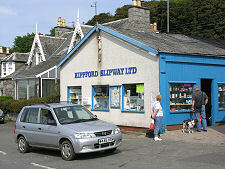 Today's Kippford is a bustling place. 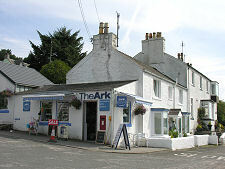 You are strongly advised to park in one of the car parks at the northern end of the village, where the road into the village meets the sea, and walk the few hundred yards into the heart of Kippford. 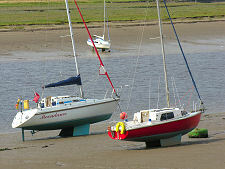 The estuary here remains extremely popular with yachtsmen as well as with those simply wanting to be beside the sea. 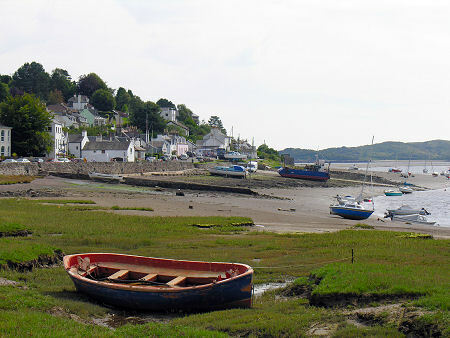 With its largely white coated buildings, the village is extremely charming, and while the estuary itself can look more muddy than pretty at low tide, Kippford is a fascinating place to visit. Although the road finishes here, a footpath leads south to Rockcliffe, a mile to the south east. En route you pass the Mote of Mark. This dark age hillfort overlooks the Urr Estuary and is thought to have been occupied for up to 300 years until being destroyed by fire in the 700s. It is said to be named after Mark, King of Dumnonia, and links have been made with the story of Tristan and Isolde and with the legends of King Arthur.